Being a single mother means taking on so much more responsibility, and often carrying the world on your shoulders. Statistics reveal that one in two moms are single, and of these, only 12% of the fathers are regular contributors to their children’s financial wellbeing. This is according to the 2016 Old Mutual Savings and Investment Monitor which involved over one thousand urban professionals. John Manyike, Head of Financial Education at Old Mutual says single parenting is a growing reality worldwide. “Our study revealed that not only is every second mom single, but that there is a 33% probability that she is also supporting one, or both, of her parents. Furthermore, the survey showed that the poorer the household in terms of income, the higher the likelihood of single motherhood”. Unfortunately, single mothers are faced with double the work, stress, tears and financial difficulties. “Especially during the current tough and uncertain economy, the word difficult becomes an understatement. However, this is the time where planning is absolutely crucial. Making sure you are prepared - emotionally, physically and mentally - is key to your peace-of-mind,” Manyike says. Never leaving anything to the last minute, always thinking ahead and planning accordingly will assist and guide single moms through various storms that they are presented with in their lives. “It is essential to start at the beginning and think about every milestone that will present itself in your child’s life. These include school fees, uniforms, stationery, extra-mural activities, extra lessons, daycare, matric dance, university tuition and the list goes on. Without becoming overwhelmed, set a reasonable plan in place and assign an estimated budget to cover these expenses that you will need to save toward. 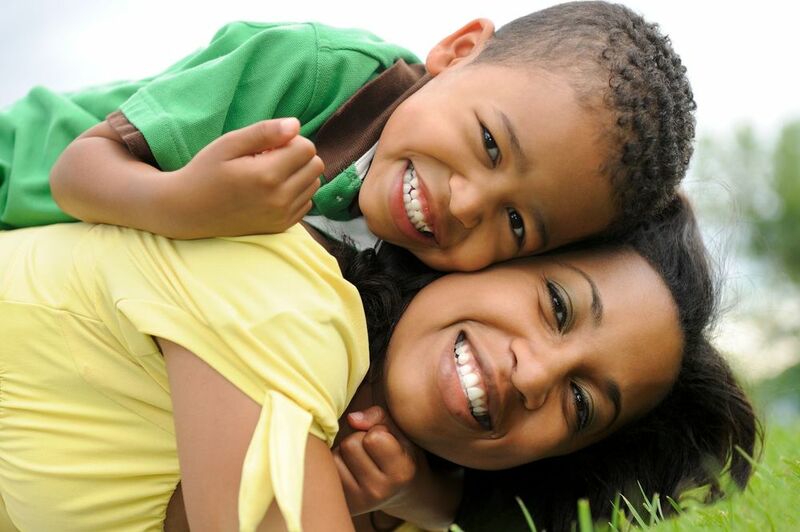 By doing this, the challenge of being a single mom and being financially stable becomes more achievable,” says Manyike. 1. For new mothers, the minute your pregnancy is confirmed, start putting money away into a savings account. Take into account your potential medical expenses as some medical aids don’t give 100% maternal benefits. You can start with as little as R200 per month - the important thing is to start, and to start today. 2. If you have a new family member on the way, Consider nappies and baby gear, a caretaker for when you return to work, nursery school for when your baby is older, and eventually school. Take a step back and consider the potential expenses that are likely, and be better prepared for what is to come. 4. Contact a financial adviser and start the conversation around saving for your children’s education. School fees, unfortunately, increase every year and saving long before the time comes will give you peace of mind. 5. Compile a comprehensive financial plan and live by this plan. We all know that things happen and circumstances change but notify your financial adviser of any financial changes. This will ensure that changes are implemented into your financial plan and allowances are made where necessary. More importantly, stay committed to it - no matter what happens! 6. We all want the best education for our children and often our first choice in schools are far from our homes. Prepare yourself for the rising transport costs and school fees. An alternative to this is to rather look for schools closer to you or move closer to the school to cut the transportation costs. 7. Keep saving. No matter what, don’t stop saving. Be committed to your long term goals such as a university degree for your child. Become emotionally attached to seeing your child getting a degree – and that vision for the future will fuel your commitment to saving your money, especially in those months when it is tough to do so. Many government schools offer school fee exemptions to parents who cannot afford to pay their full school fees monthly. Speak to your school principal and make use of this service to ease your burden a little. 8. Don’t put yourself under pressure by trying to “keep up with the Kardashians, the Khumalo’s, or the Karims.” Dress your children according to what you can afford and don’t open clothing store accounts if you cannot afford to pay the total monthly fee. It is good advice that if you cannot buy it cash, then you shouldn’t buy it at all. 9. Prioritise! Shop at cheaper stores, change to cheaper brands, compare prices, pull back on holidays, DSTV and other luxuries. This is the time to go with what you need not what you want. 10. Learn to say NO! Children can push you into buying things just to keep up with their friends or the latest fashion trends. It is much wiser to teach your children about budgeting, pocket money and financial restraints, than to give in to their demands for new things. If there is a pair of takkies they are desperate for, sit down with them and work out a financial plan to save the money. Once the money is saved, and the takkies are bought you can be sure your child will have a much higher appreciation for that item. “Raising children is already a huge responsibility and challenge, and being a single mother brings another dimension to this. Planning, prioritising and managing your financial situation is the first step to financial well-being, and giving your children the best you can give them. This Mother’s Day we celebrate all the sacrifices that our mothers and lady guardians have made to give us the best life that they could afford,” concludes Manyike.